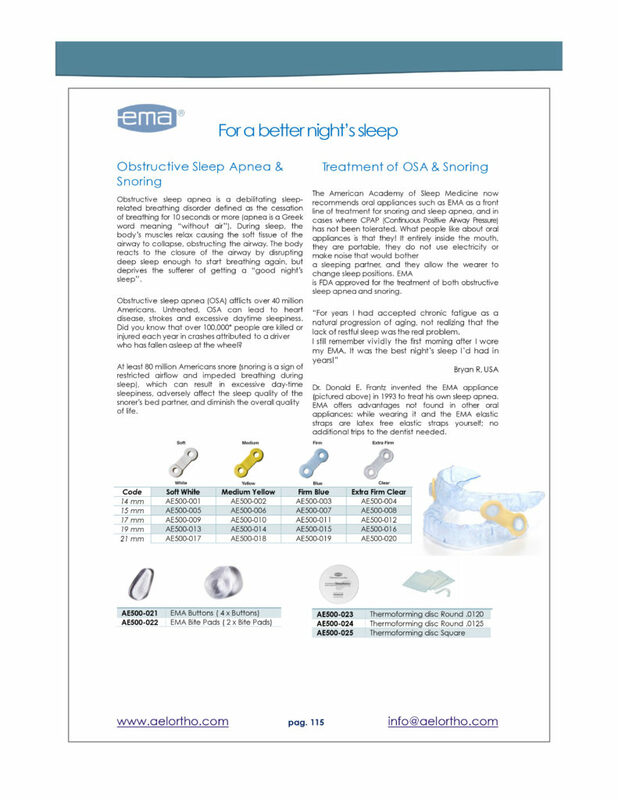 The American Academy of Sleep Medicine now recommends oral appliances such as EMA as a front line of treatment for snoring and sleep apnea, and in cases where CPAP (Continuous Positive Airway Pressure) has not been tolerated. What people like about oral appliances is that they! It entirely inside the mouth, they are portable, they do not use electricity or make noise that would bother a sleeping partner, and they allow the wearer to change sleep positions. 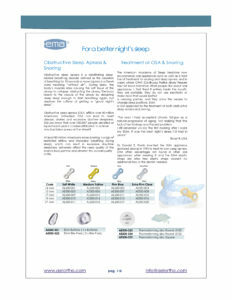 EMA is FDA approved for the treatment of both obstructive sleep apnea and snoring.